In the wake of the alarming STD and violence rates in the St. Louis metro area, Better Family Life is prepared to educate and motivate youth about making a brighter future for themselves. Youth will proclaim that all life matters and declare they have a responsibility to prove that they're "Living Their (My) Best Life" while protecting themselves from all societal enemies. We want to emphasize the importance of youth and commend them for staying on track and striving to obtain favorable outcomes. Our goal is to encourage youth to develop the skills and knowledge needed to form and sustain healthy relationships. The Youth Department of Better Family Life hosted a morning filled with education and entertainment designed to unite, empower and excite youth about making proud choices and building healthy relationships. Every year, students gather from all over St. Louis, East St. Louis, Madison IL. 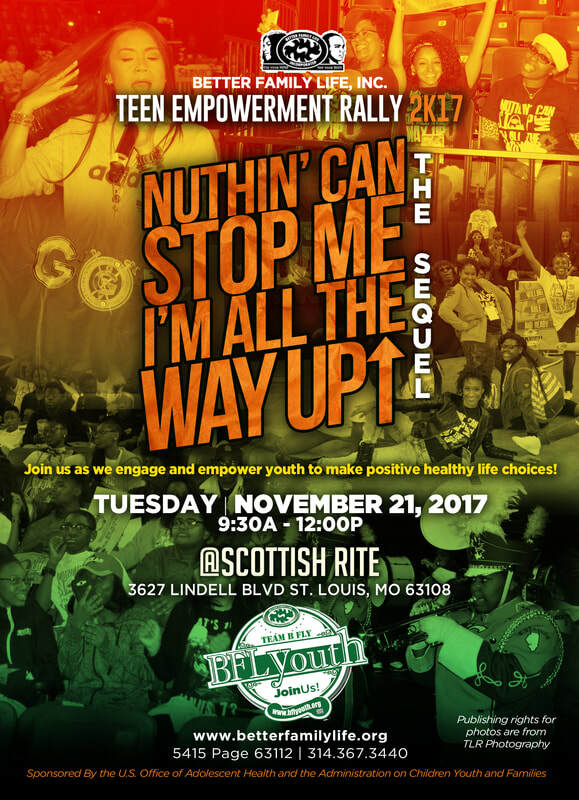 and Granite City to attend our annual Teen Empowerment Rally held at the Scottish Rite Cathedral - located in Grand Center - to obtain knowledge, get energized and to celebrate their successes in the Teen Pregnancy Prevention Program. 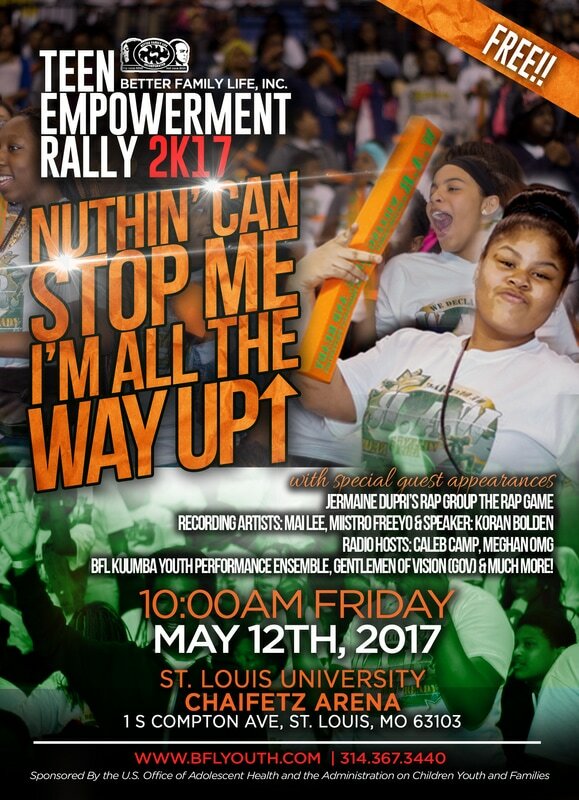 This year, over 2,500 students are set to attend the rally from several schools such as Jennings Middle, East St. Louis High, Normandy High and Lincoln Middle School to name a few. 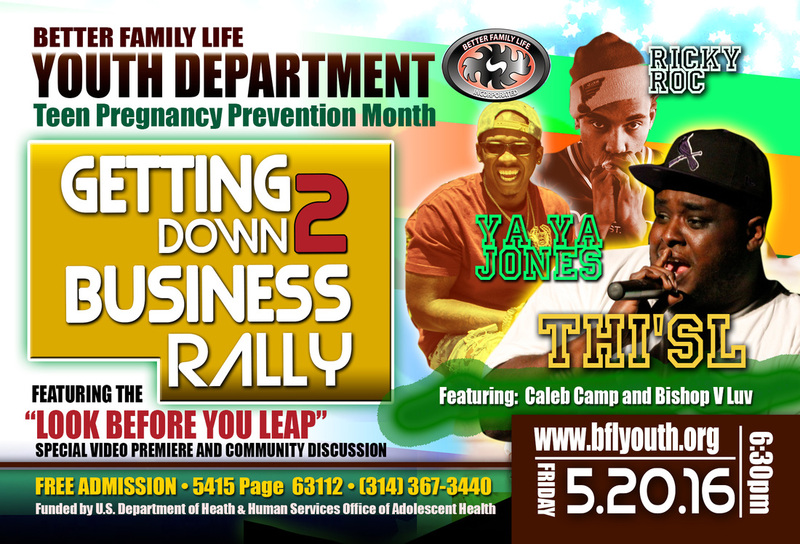 Youth will gather and showcase many talents as they share what they have learned about Teen Pregnancy Prevention, HIV and other STDs through raps, poems, videos and more. Positive entertainers this year will feature National and Local/ Independent Artists including Josh Royal, Mai Lee and Ricky Rock, Local area step teams including GOV, marching bands, Motivational Speakers, Poets, Community Leaders and so much more.